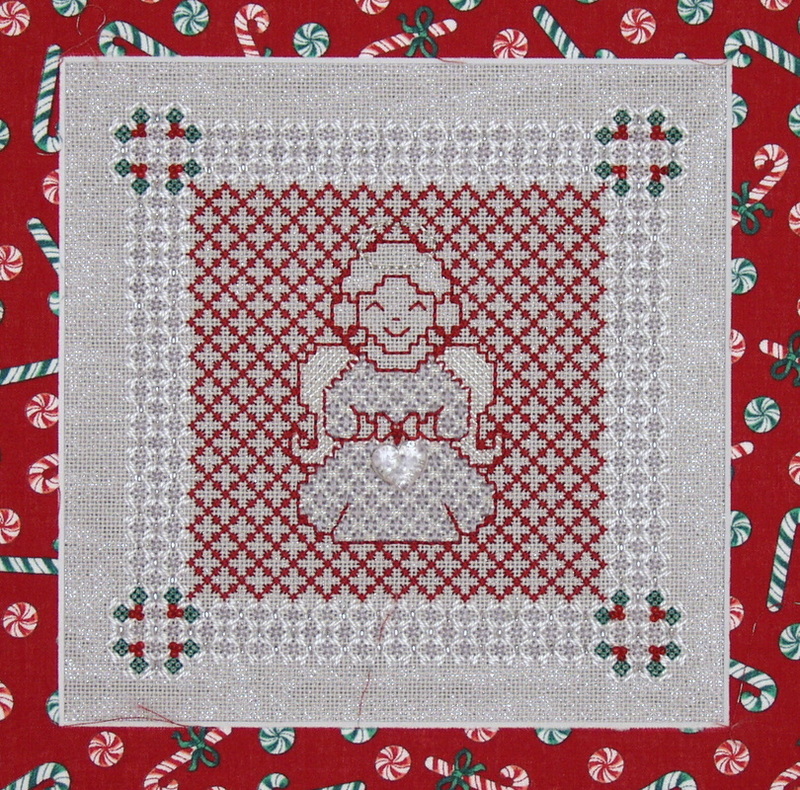 This lovely holiday angel is defined with an Assisi style outline and dressed in a sumptuous brocade gown executed in a traméd open Hungarian pattern. The wings are filled with a Web variation. The delicate open background area appears to be blackwork but is actually an open canvas network with a couched foundation underneath. The textured border is formed with Flip-flop Extended Diagonal Hungarian clusters that form a natural wreath shape in the corners. The transparent glass heart in the angel's hands is included with the booklet.